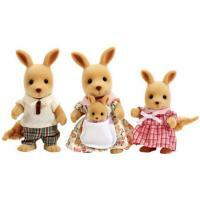 Fulfil your Sylvanians' childhood dreams and treat them to the amazing Sylvanian Treehouse! 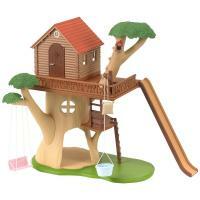 The treehouse of course comes with a climbable tree, on which you can position the beautifully crafted wendy house. 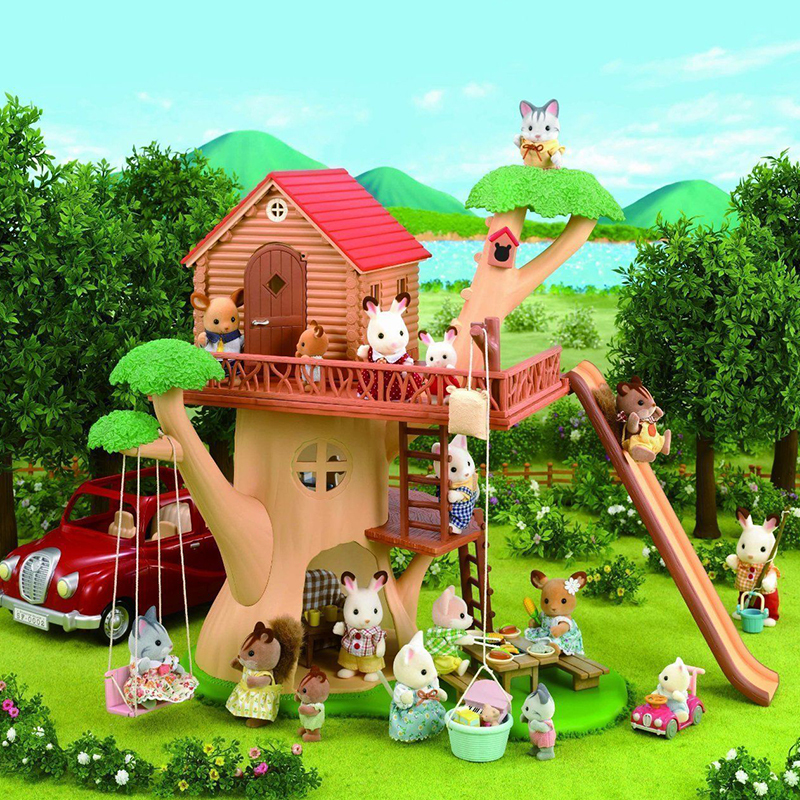 The fun never ends as there is both a slide, a tree swing and detachable ladders so your Sylvanians can climb up and down and up and down all day! This roomy den is spacious and the perfect place for lots of friends to place at once. With it's little comfy nooks as well as exciting features such as a swing and a slide, this is the perfect place for older Sylvanian children to play, or even for a back to basics weekend getaway for all the family. Dimensions 33 x 38 x 21.5 cm.